In 1987, Guerda came to the US from Haiti. She currently lives in New Hampshire with her husband and two beautiful children. She loves to cook, work out, travel, and spend time with her kids. Guerda has been performing massage for over 10 years. After graduating from the Muscular Therapy Institute in Cambridge in 1997, she worked at the Greta Cole Spa in Chestnut Hill. 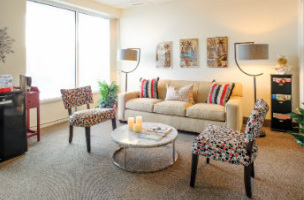 She quickly built up a loyal clientele and moved to Bella Sante in Wellesley in 2006. 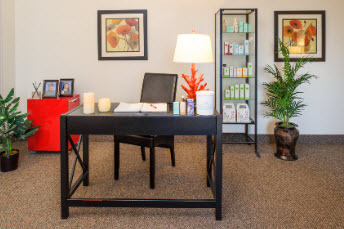 Recently Guerda expanded further into skin care by bringing another esthetician, Diane Welch, into her office. Diane performs facials and offers the Control Corrective skin care line. You can find out more information about Diane here. After three years at Bella Sante, demand was so strong for Guerda's massage and facial treatments that she opened her own spa in Wellesley in 2010. Guerda's business continues to grow. ...I have been to many masseuses, but Guerda is just incredible. I have suffered from neck pain for years and I have found that Guerda knows exactly how to relieve my pain. She seems to have magic fingers knowing intuitively where the pain is and then works it out. Most people's favorite day is Friday, but mine is Tuesday as this is my massage day... :) - C.H.